On Monday May 14th, 2012 @ 7:30pm. 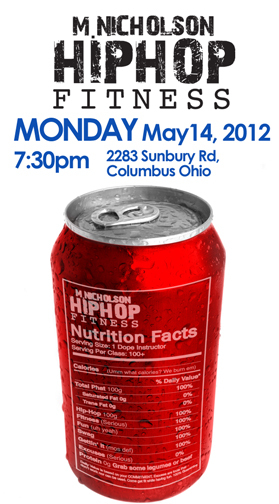 We will be having our Hip Hop Fitness class @ 2283 Sunbury Road, Columbus, Ohio. We have a lot of space so please feel free to invite and bring as many people as you would like. The cost for drop in for this class in particular is $5.00.